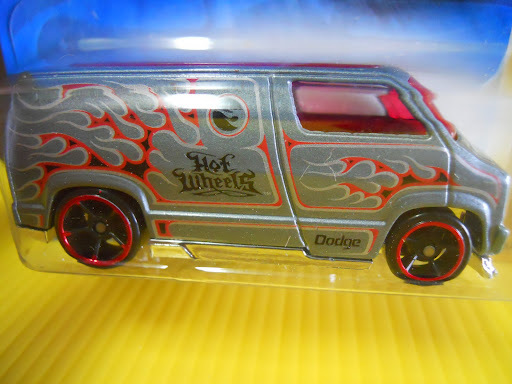 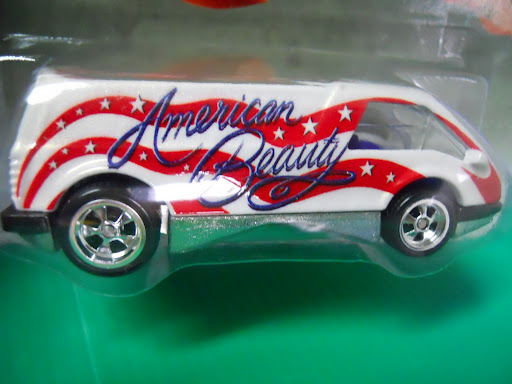 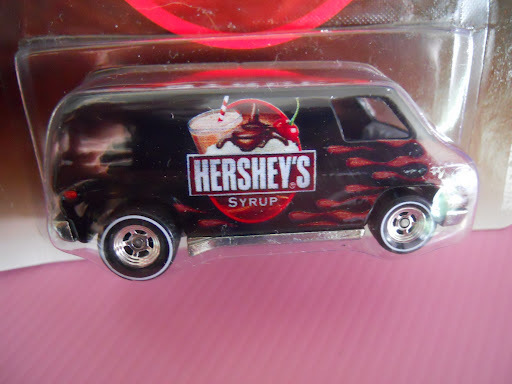 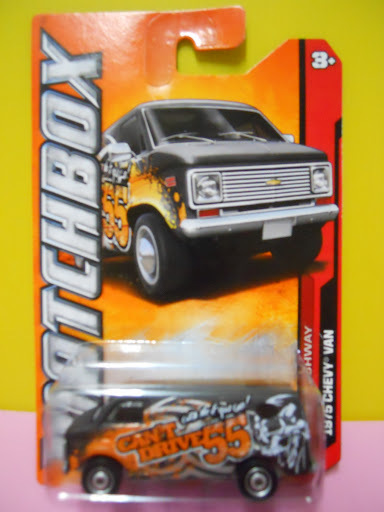 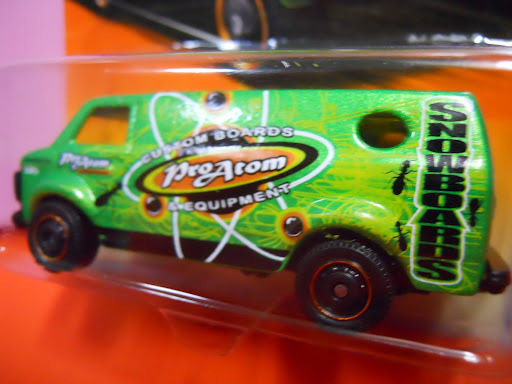 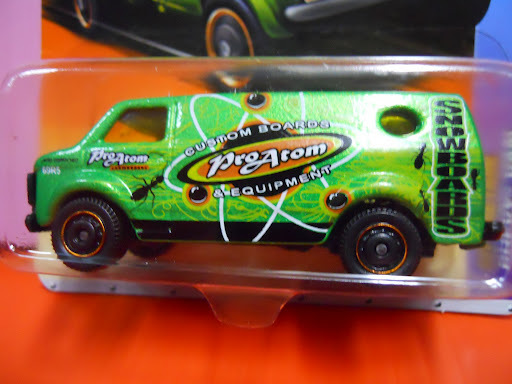 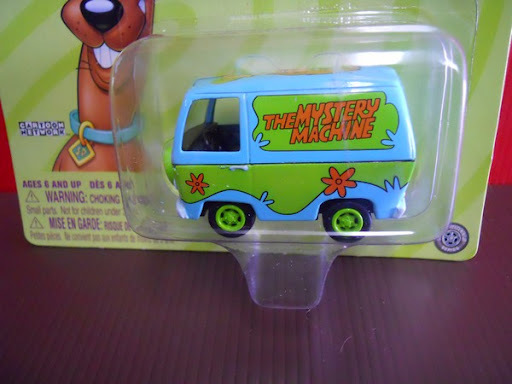 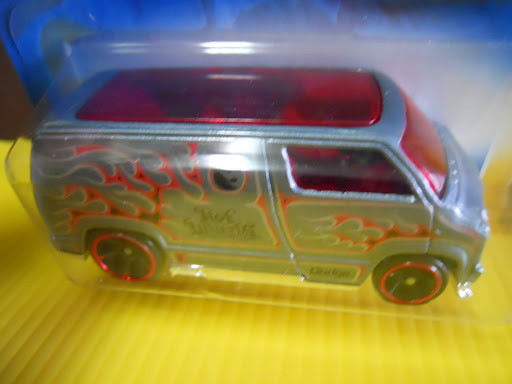 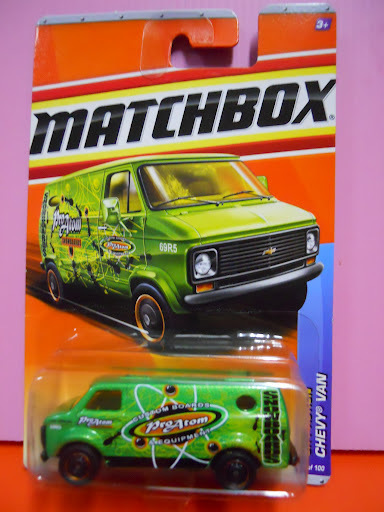 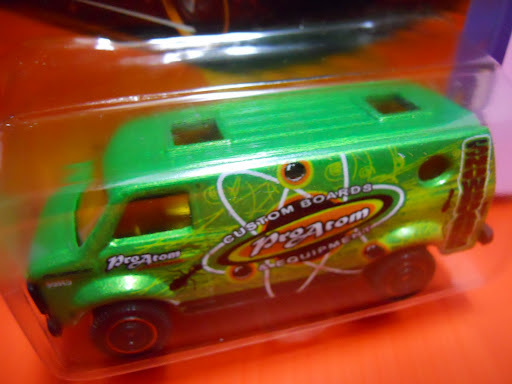 Matchbox 2011 #70 ~ Chevy Van "ProAtom"
Excellent die-cast model; Cool graphics; Sealed on card. 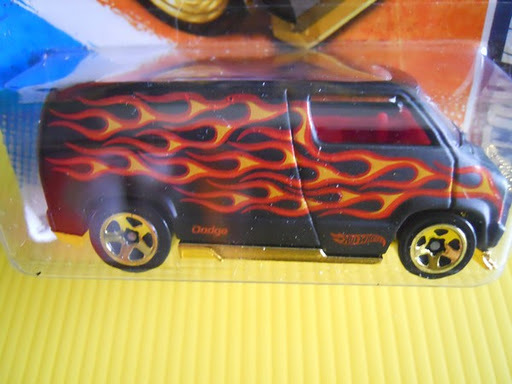 Excellent die-cast model; Cool graphics, RealRiders features; rubber tires; Sealed on card. 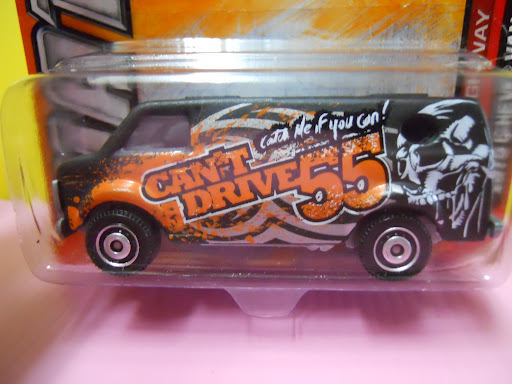 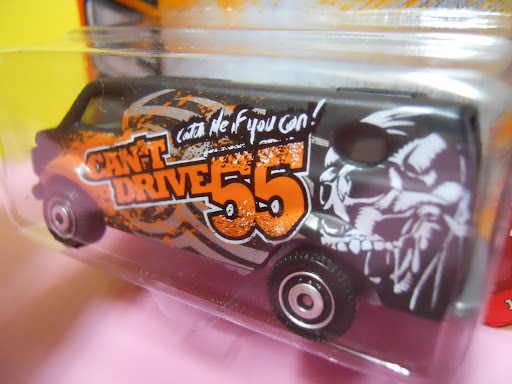 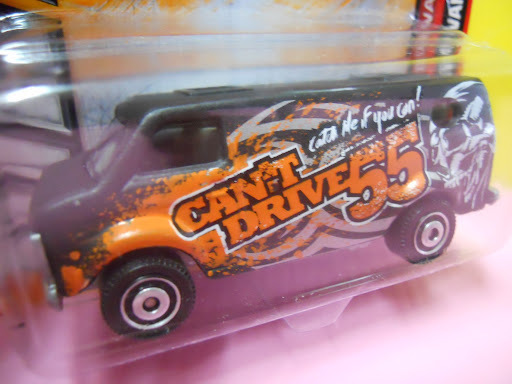 Matchbox 2012 #1 ~ 1975 Chevy Van "Can’t Drive55"
Stunning die-cast model; Amazing graphics; Superb details; rubber tires, rims; Sealed on card. 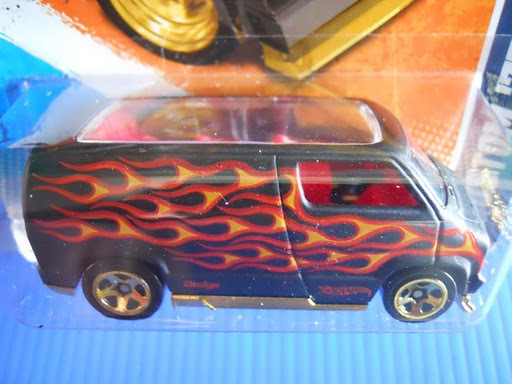 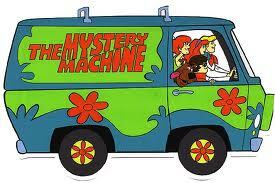 Excellent die-cast model; Real Riders details; Amazing graphics; Sealed on card. 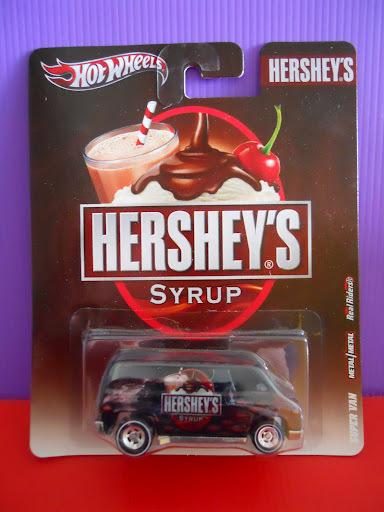 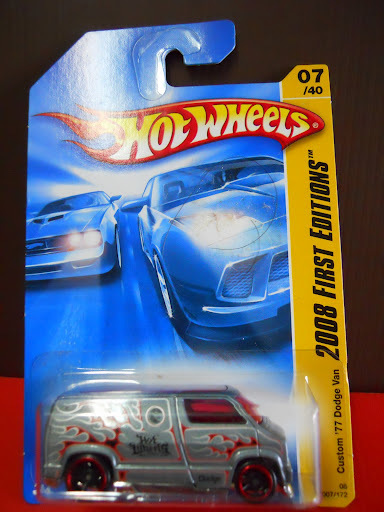 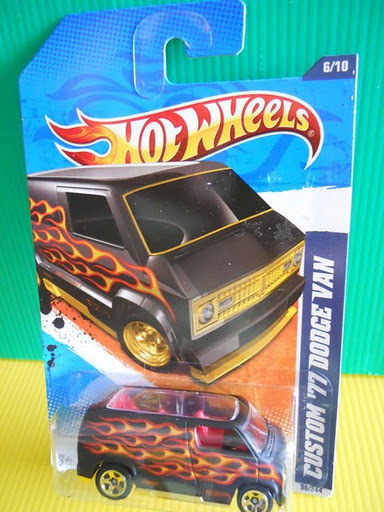 Excellent die-cast model; Red-lines rims, pink windows; Cool graphics; Sealed on card. 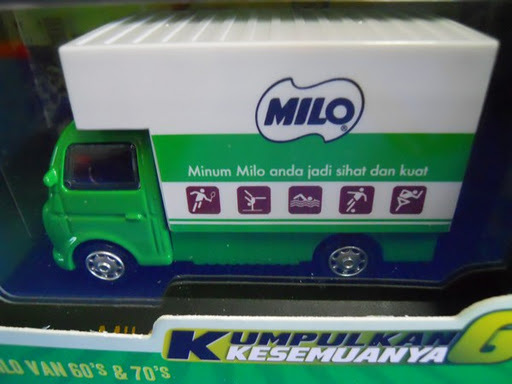 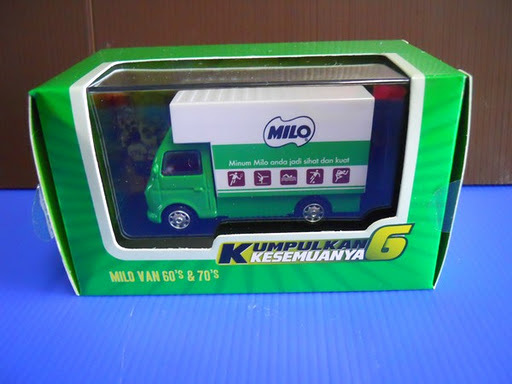 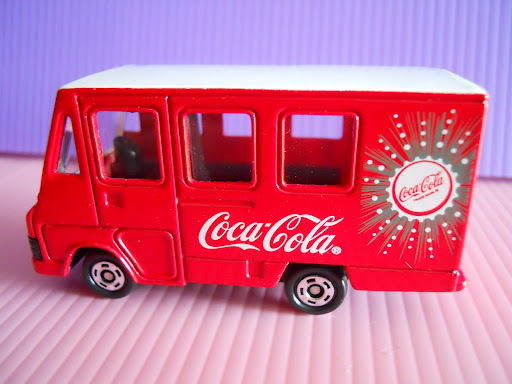 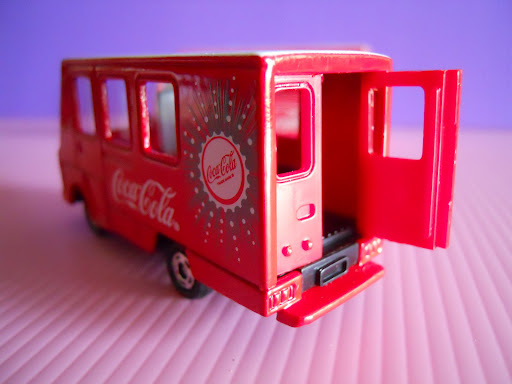 Scale 1/72; Stunning die-cast model; Great graphics; opening cargo door; original box. 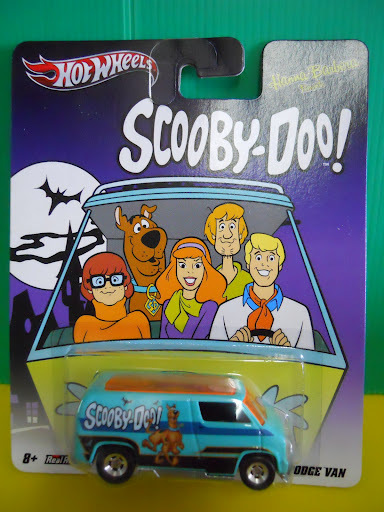 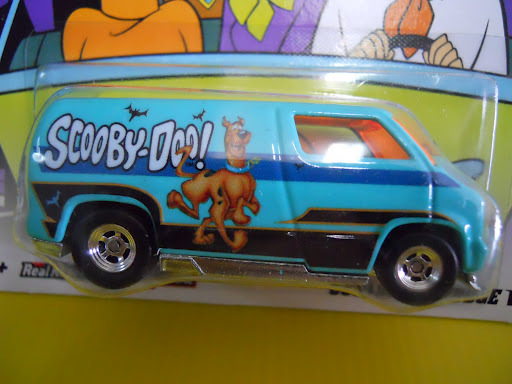 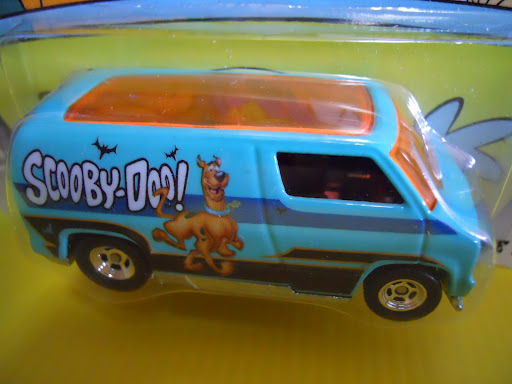 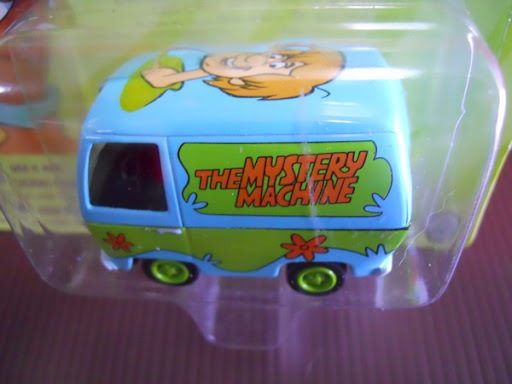 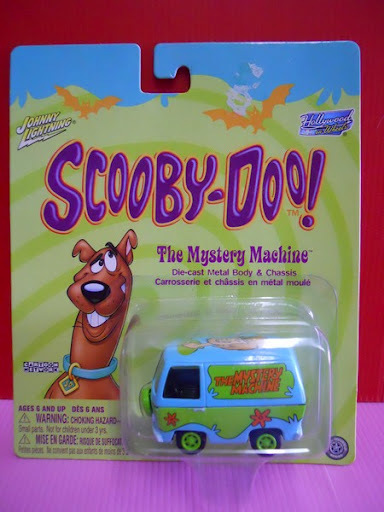 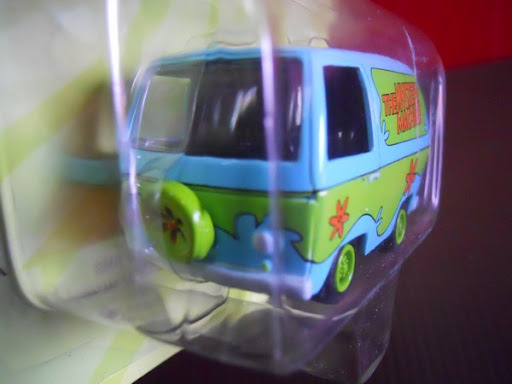 Stunning die-cast model; Excellent graphics based on the popular cartoon series; 2004 edition; Rare; Carded. 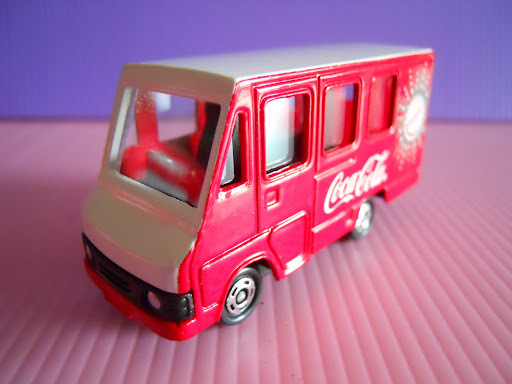 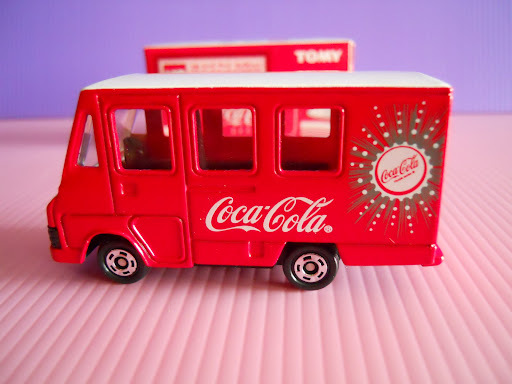 Not sure about the scale; Dimension 8cm x 4.5 cm; Authentic advertisement decals; Limited Special edition model; Excellent details; brings back nostalgic memories; displays on plastic base with labels and in perspex box. 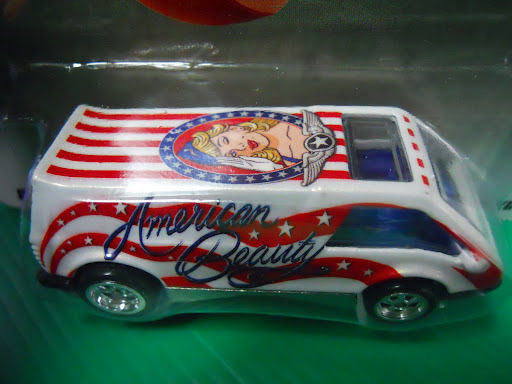 Excellent die-cast model; Attractive color & graphics; gold base; ‘see-through’ roof; Carded.